The EUR/USD currency pair is forming the first descending impulse, which may turn into a correction towards the level of 1.3330. I think today the price may consolidate between the levels of 1.3670 - 1.3610, then leave this consolidation channel downwards and continue the correction. 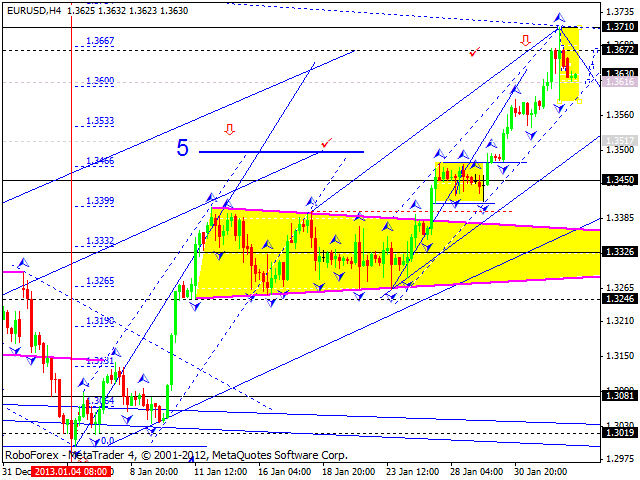 The GBP/USD currency pair continues moving downwards. I think today the price may grow up a little bit to reach the level of 1.5865 and then move downwards to break the target at 1.5670. 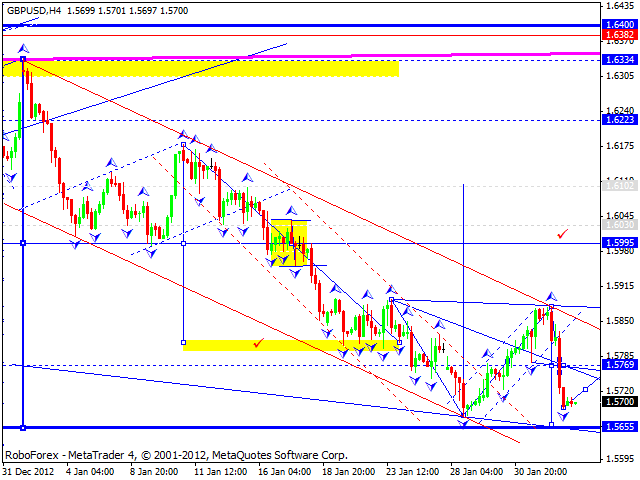 Later, in my opinion, the pair may return to the level of 1.5865. 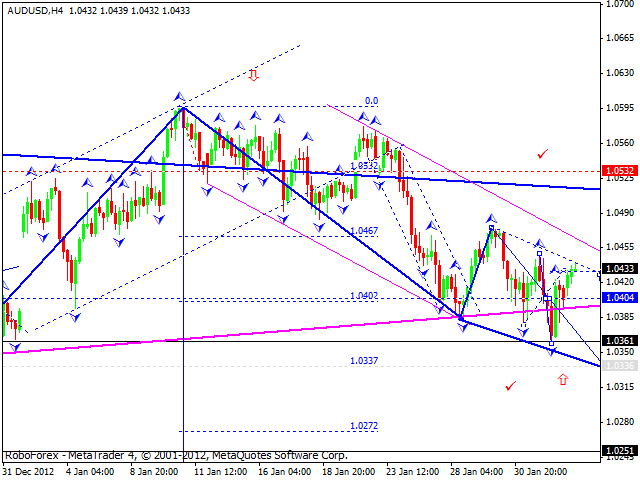 The USD/CHF currency pair is forming the first descending impulse, which may turn into a correction towards the level of 0.9280. I think today the price may complete only the first part. 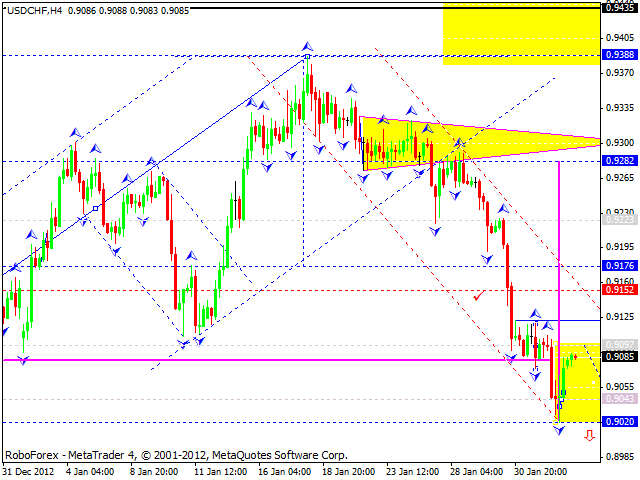 After reaching the level of 0.9100, the pair may start a new ascending movement to reach the target at 0.9450. 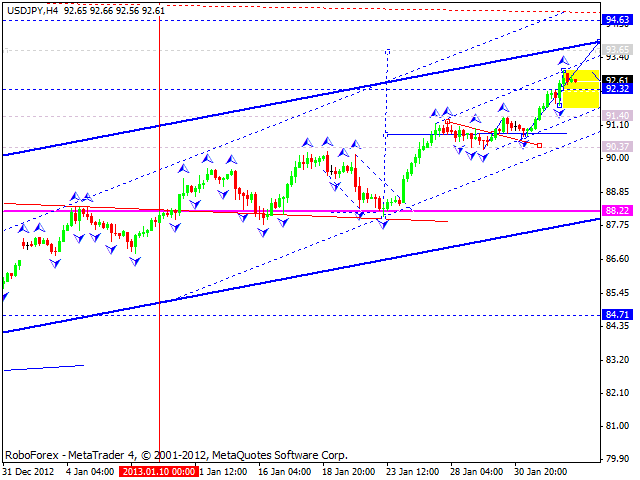 The USD/JPY currency pair continues moving upwards; the price is consolidating near the level of 92.30. I think today the pair may rebound from this level and continue growing up towards the target at 93.60 or even higher, to test the channel’s upper border. Australian Dollar finished a correctional structure. I think today the pair may start a new descending movement towards the target at 1.0340 and then return to the level of 1.0400. 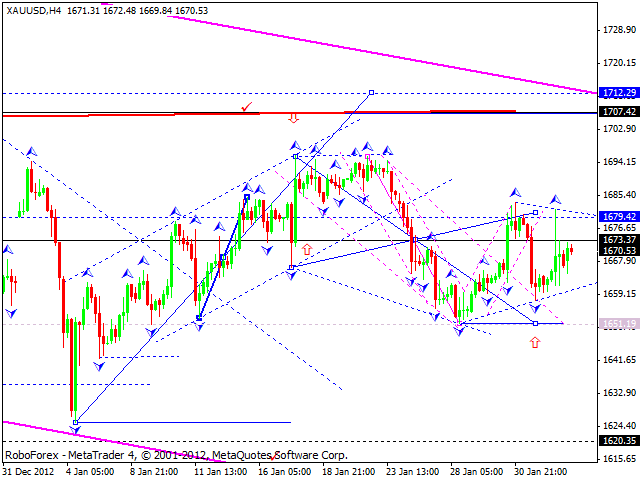 We can see that Gold formed triangle pattern at the current levels. I think today the instrument may continue consolidating inside the pattern. In my opinion, the price needs to reach the target at 1707 and only after that it may start a new descending structure towards the level of 1620. However, if the price leaves triangle pattern downwards too early, it may fall down to reach the target at 1650 and the start moving upwards.